Rebuilding homes and lives fifty days after narrowly escaping death. Dunrobin held an event supporting victims and their families at West Carleton Secondary School. 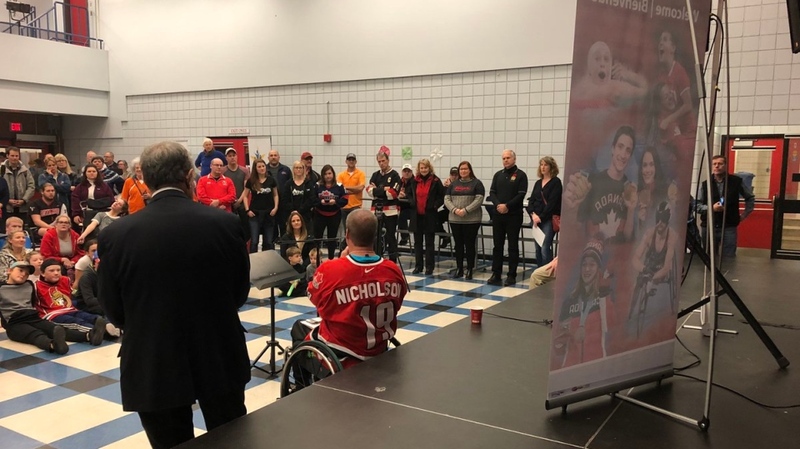 Re-building Community Through Sport is an initiative organized by five-time paralympian Todd Nicholson to boost morale and provide opportunities for residents to recover. "Sport has an amazing power to hopefully allow families to turn off. I know for myself that's one of the things when I get on the ice, that's all I'm thinking about - to play hockey, I'm not worried about insurance, I'm not worried about this, I'm not worried about that." says Nicholson. "Everything is demolished!" As Plouffe points to the home he built with his father on Dunrobin Road in 1969. Today, as Plouffe awaits word from his insurance company on when to proceed with demolition, he is gathering his belongings and heading to the Red Cross for aid. "It's really hard, I don't sleep at night, I wake up a lot of times at 2 o'clock in the morning, jump out of bed, it's like a nightmare." More than 30 groups donated gear and volunteers to get kids back in the game today including Randy Gill's charity Their Opportunity. Gill says "We're rebuilding communities through sports but it's the whole family, it's the whole community. 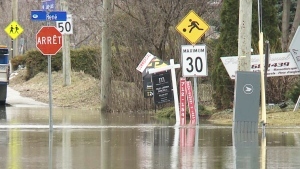 It's everybody coming together and it is body, soul and spirit, really"
Eli El-Chantiry serves as Ottawa councillor for West Carelton-March; meeting with residents since the tornado on September 21. He says helping children and families affected by the disaster helps strengthen the community during this difficult time. "A lot of stuff is not covered by insurance...if your kid plays sport and he or she lost their equipment, that's not covered." This event takes care of that problem. "The people are coming together, and neighbour helping neighbour. Stranger helping stranger, it's beautiful." says Ottawa Mayor Jim Watson. Still, Nicholson says it's important to continue this work and not to forget about these people and their struggle. "If you checked in on somebody on the 21st, 22nd, or 23rd, do me a favour - check in on them again, today, tomorrow, six months down the road"
Re-building Community Through Sport is planning to hold its next event in Gatineau in early December.